"Access Need for Speed™ Rivals from your Android device"
Game Goal: Need for Speed™ Network lets you connect to the Need for Speed™ Rivals game using your mobile device to compete or check, on the map, where the opponents are. How to Play: The app works as a complementary tool to Need for Speed™ Rivals; thus, you need to have the game installed. You also need to be connected to your online account. With this app you can synchronize your game with your smartphone to access maps and interact with friends. Controls: You use the tool to navigate through a menu and screen taps. The interface is entirely in English. Content Classification: Android users who play Need for Speed ? ?Rivals on XBox 360, XBox One, PS3 and PS4. Developer: EA Swiss Sarl	- High-ranked developer. Installation requirements: A minimum of 18.31 MB of free memory space and Android 4.0 or higher. Lets you interact with friends and check maps. Gives you remote access to the console game Need for Speed™ Rivals. Only compatible with Android 4.0 or higher. You require an Internet connection. 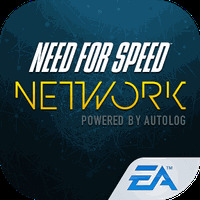 Do you like Need for Speed™ Network?